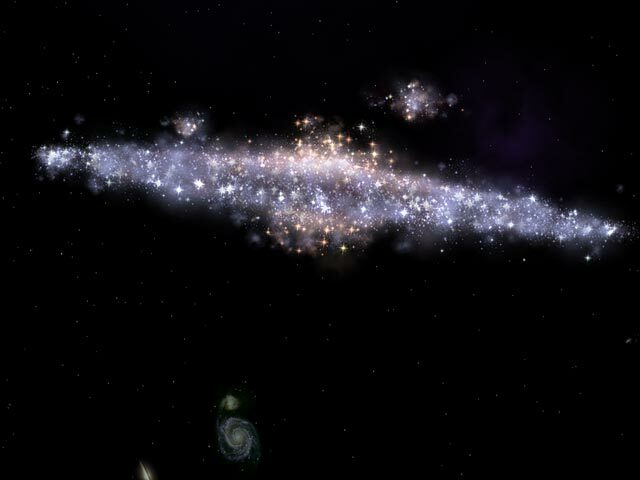 Galaxy 3D screensaver. "3D Space Tour" animated screen savers collection. Official author's website. Our Sun is like a grain from at least 200 billion stars orbiting around the center of our enormous "cosmic island" so-called Galaxy or Milky Way. When you look through binocular or a telescope, it is seen to be composed of vast numbers of individual, faint stars. It is actually the disk of our own galaxy - seen from our perspective (within the disk), the flat lens-shape of the Galaxy appears to surround us. 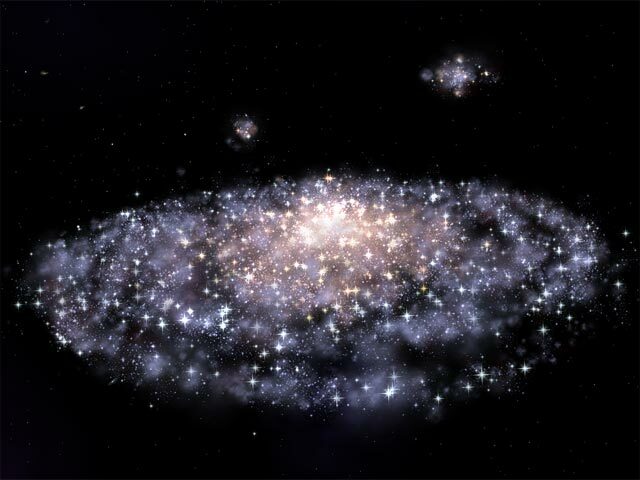 There are also two tiny galaxies called Magellanic Clouds orbiting around Milky Way. But what if we leave our Solar System and the Galaxy on fantastic space ship and look back to our Space Island? What should we see? It's impossible to verify, but we can imagine and simulate this fascinating space view using latest astronomical knowledges about The Galaxy. This screensaver is an attempt to make such simulation as close to reality as possible, using modern 3D technologies. (You can also adjust simulation quality, speed and complexity through screensaver settings dialog). Millions of stars, bright and dark nebulas, star clusters, arranged according astronomically accurate model of The Galaxy. Spiral arms, halo, core and other structure elements matching modern galaxy theory. Realistic background with thousands of far galaxies. Amazing flight trajectory including fly-through-galaxy scenes will be new on each screensaver start!